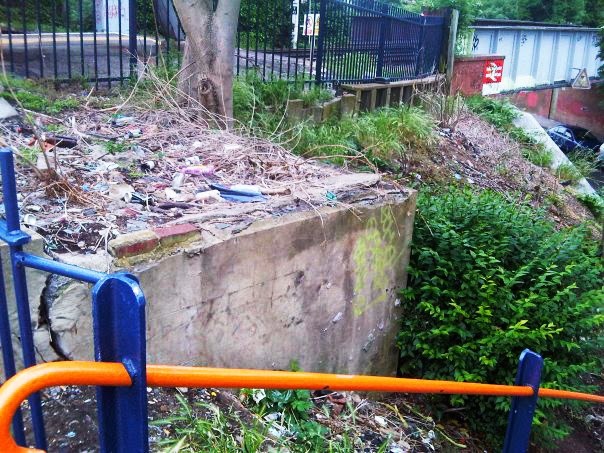 If you will be heading into the city on the train tomorrow morning, hopefully you might notice that the sloping bank next to the station steps has had a bit of a tidy up over the weekend. The Worcester Park Station Volunteers were back this morning; weeding, tidying up and planting a few more shrubs in the little garden there. Almost a full bin bag of litter was removed from the small area as well as a very large pile of weeds. Only five of us showed up this time but we are hoping to do it again in around six weeks and hopefully more people will join us then. It all started just before 9:00am and we had finished by 10:30 - so it certainly won't take a huge chunk out of your day if you do decide to come and help. It's great to see how much better the area looks now compared to a few years ago. 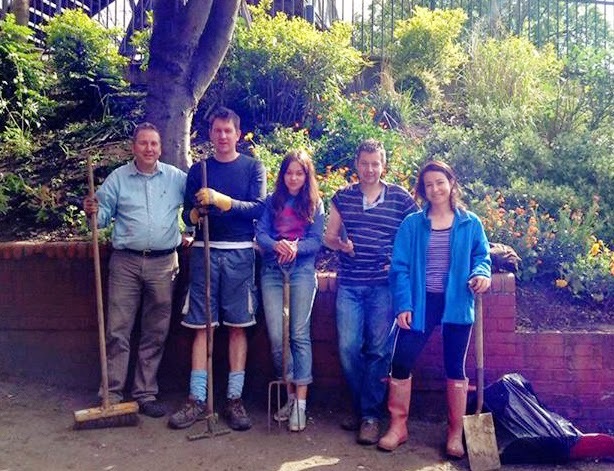 Here is a photo which Nick Baum (the organiser) took before all the work began all those years ago now! "Amazing to see how bad it looked – note the amount of old bottles there were!Makes you realise how much it has changed."